We know you work hard in the laboratory to make our world a better place. That is why Air Science designs products that keep you safe, protect your work, and ensure accuracy across a variety of scientific disciplines. Our products feature high quality construction and meet numerous international standards, while incorporating a variety of innovative technologies to help make your work easier and safer. Purair Ductless Fume Hoods - Our ductless fume hoods are designed to provide high level performance features at an affordable price. Purair ductless hoods are designed to protect the user and the environment from hazardous vapors generated on the work surface. Laminar Flow Hoods - Laminar Flow Hoods are a series of high efficiency products designed to protect equipment and other contents of the work zone from particulates, for use with non-hazardous contaminants and when flexible access to the equipment in the work zone is desired. Vented Enclosures - Vented Enclosures provide effective containment of airborne particulates during process and transfer of powdered agents and potent compounds. Purair BIO Biological Safety Cabinets - Air Science Biological Safety Cabinets are designed to protect individuals, the environment, and products from a variety of biological particulates, serving as the primary barrier in life science research and experimentation. contaminant-free work surface. They are ideally suited for use with non-hazardous contaminants where flexible access to the PCR instrumentation in the cabinet is required. 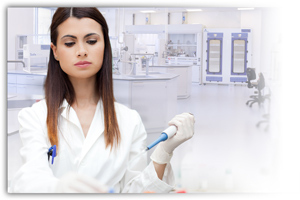 We carry a full line of laboratory products, including ductless fume hoods, laminar flow and biosafety cabinets, air filtration products, and replacement carbon filters. Download our Laboratory Products Guide today or visit the links above to learn more. For additional details contact us today.